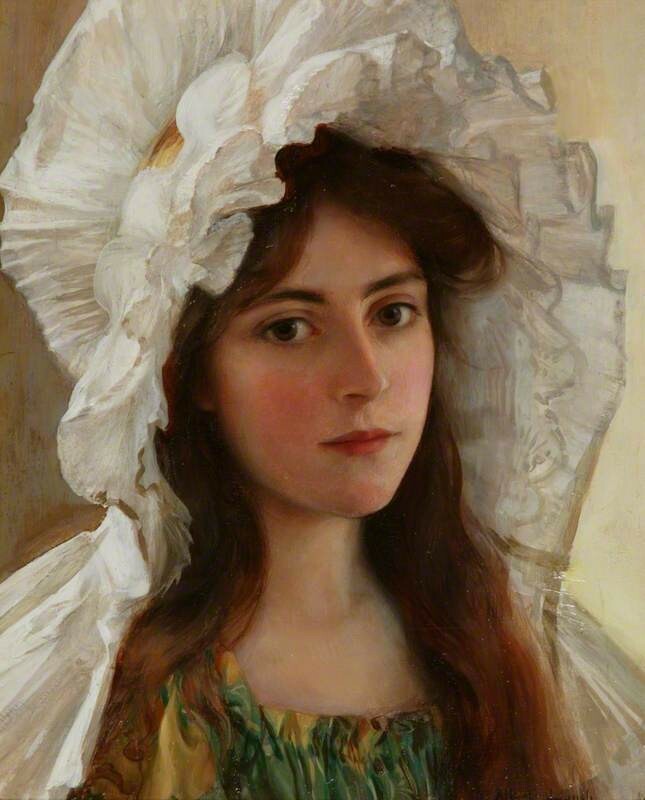 Elizabeth De Smidt raised the question of whether 1912, as the year of death for Peruvian artist Albert Lynch, needed to be rethought. De Smidt pointed to a number of portraits, in which sitters are styled in 1920s fashions – an indication that there is a problem with the presumed date of 1912, later confirmed by Lou Taylor (Textile and Design Group Leader). The notion that Lynch lived at least into the 1920s was confirmed by Osmund Bullock, who finds mentions of Lynch exhibiting with the Salon de la Société des Artistes Français in both 1914 and 1920 in French newspapers. Looking through the Paris Online Archives for Albert Lynch and Maria Bacouël’s marriage certificate proved interesting, as Osmund Bullock was able to reveal Lynch’s date of birth as 26th September 1860. Even more surprising was his place of birth, recorded not as Lima, Peru, but instead ‘Gleisweiler (Bavière)’. The date of 1860 had been previously confirmed by Oliver Perry, after the discovery of travelling documents from 1896, in which Albert Lynch was recorded as age 35. The revelation of his birthplace however, was an intriguing one, considering the belief that he was born in Lima. This inconsistency is explained both by Lynch’s own Peruvian national pride, but also in the anti-German sentiment in France throughout the late 1800s. Returning to the question of Lynch’s death, Osmund Bullock found through the work of amateur Peruvian art historian, Gabriela Lavarello Vargas de Velaochaga, a mention of Lynch’s death certificate, which states he did indeed die in Monaco in the year 1950. While this evidence wasn’t completely definitive, Bullock further confirmed this date with the discovery of the banns of marriage for Alberto Fernando Lynch and Marie Anna Victoria Bacouël. As such, the discussion concluded that most of the accepted biography for Albert Lynch needed updating. He was born in Germany, not Peru, in 1860 and he died in Milan in 1950, after a long career of exhibiting at Paris Salons. Can more be found about Peruvian artist Albert Lynch (b.1851)? What is his date of death?